A good veggie burger is so satisfying. 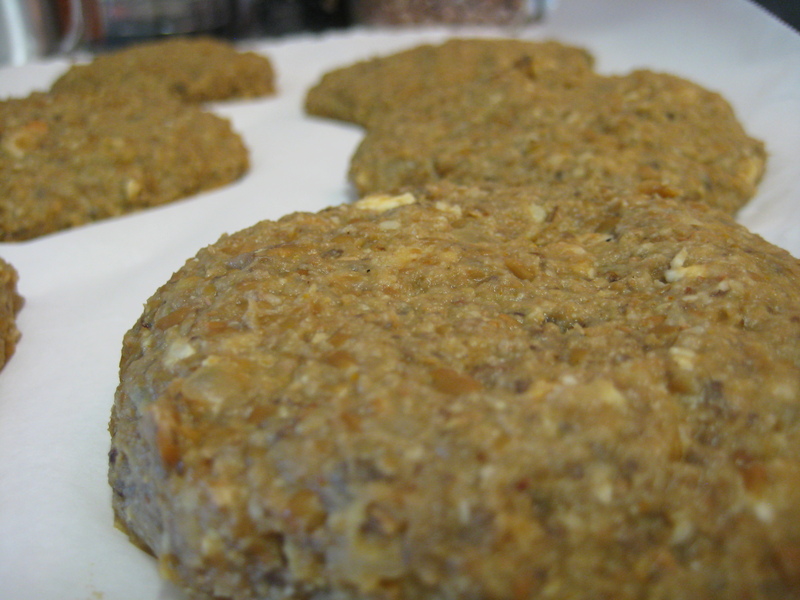 I love veggie burgers, especially ones with mushrooms and nuts in them! Even if you aren’t a mushroom fan, you will like these. The flavor is even better the next day. I tried this recipe from The Vegetarian Collection cookbook. 1 Tbsp curry paste (I couldn’t find this, so I bought a jar of vegetable curry sauce instead and also used about 1/4 tsp of curry powder) *update – be careful with the kind of curry paste you use. I tried again when I found red curry paste, used 1 Tbsp and they were SPICY!! Lettuce, bun, Veganaise, hummus, Daiya cheese, red onion, ketchup, mustard…whatever you like! In a dry skillet, toast cashews over medium-low heat until fragrant, about 5 minutes. Transfer to food processor. 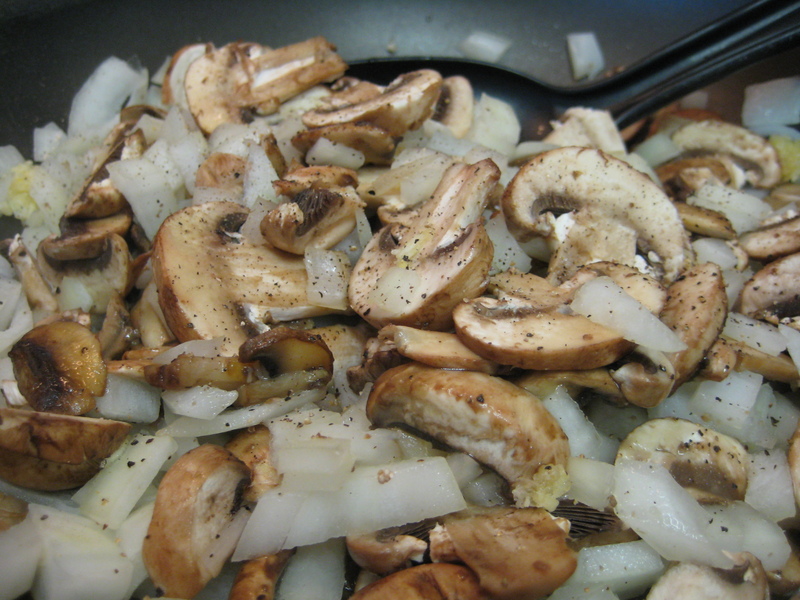 In same skillet, heat 1 Tbsp of the oil over medium-high heat; saute mushrooms, chopped onion, garlic, salt and pepper until no liquid remains, about 5 minutes. Add to food processor. 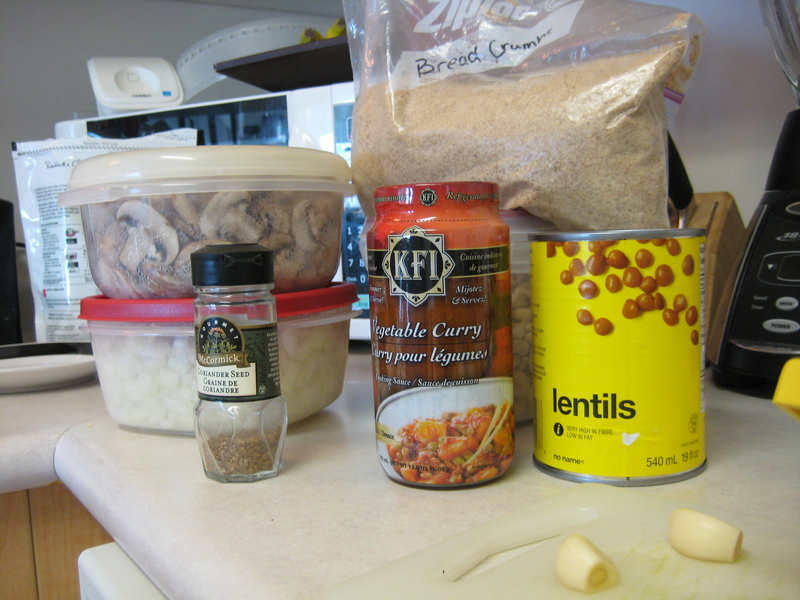 Add lentils and curry paste/curry powder to food processor; pulse to combine. 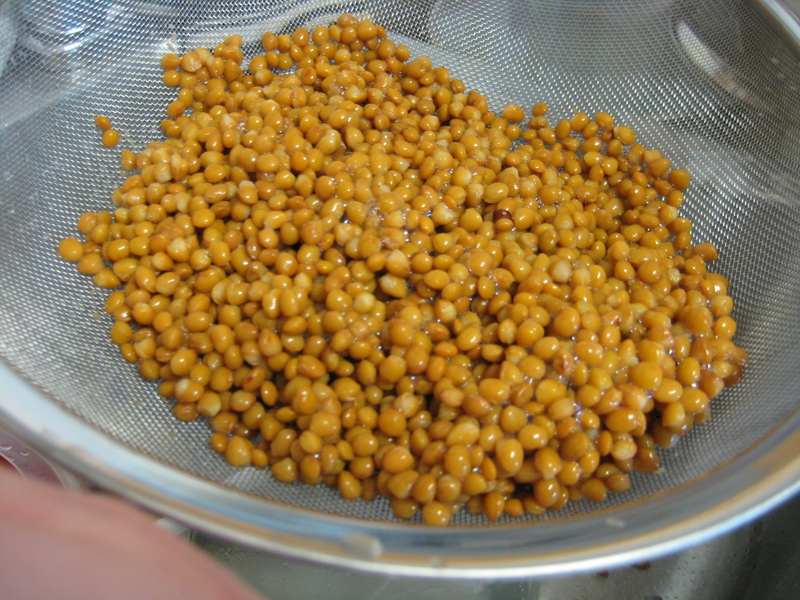 Transfer to bowl, then mix in bread crumbs and coriander. Shape mixture into 1/2 inch or so thick patties. This made 7 burgers for me. 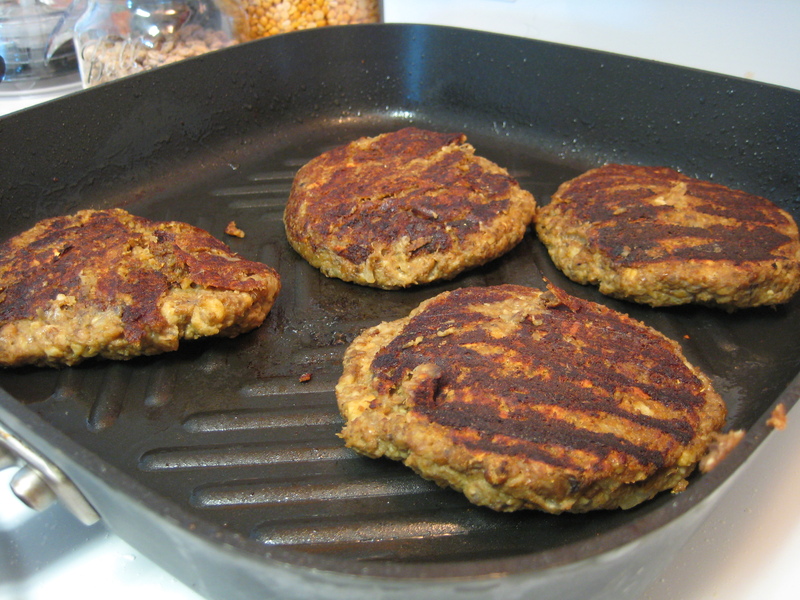 In a large nonstick skillet or grill pan, heat remaining oil over medium heat; fry patties until crusty, turning once, about 16 minutes or so. These are quite soft so be patient. 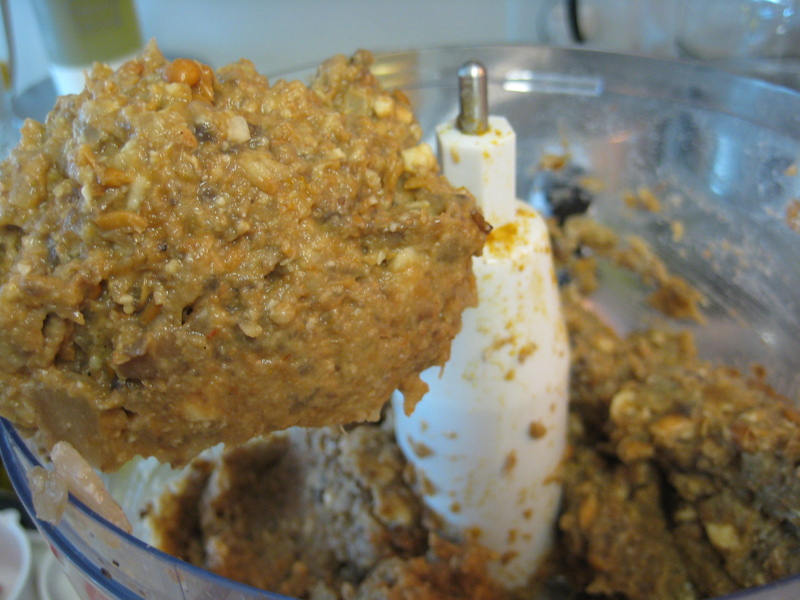 I think if you added some more breadcrumbs and cashews, it would make them firmer. But it doesn’t matter, they taste great! Assemble your burger and enjoy! I’m going to make a huge batch next time and freeze them. 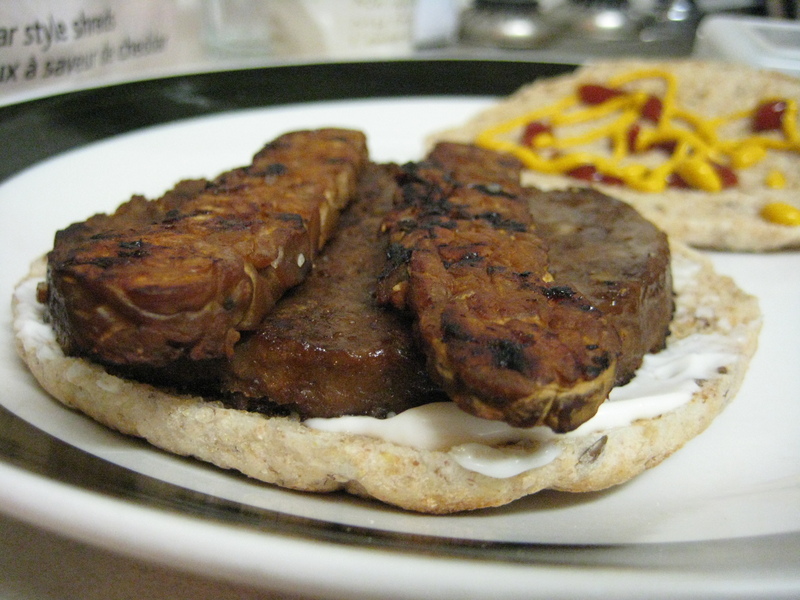 Yes I said it…Vegan bacon cheese burgers?? Yup. This is possible with a Yves veggie patty, Tempeh bacon and Daiya cheese!! It was pretty satisfying. 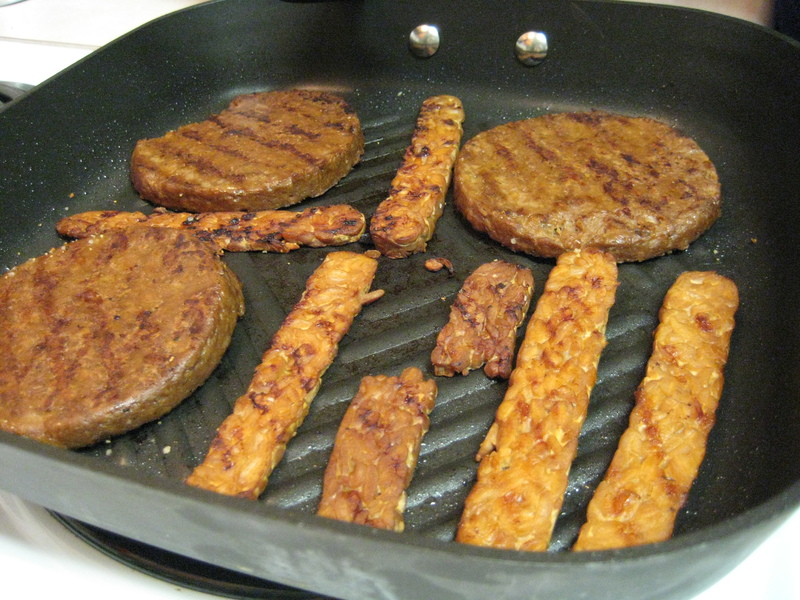 The veggie bacon smelled so good when I was grilling it up, like the meat version! The bacon of course didn’t have the texture of actual bacon, but when you put it all together as a burger I really enjoyed it. One veggie bacon burger was very filling for me as well.